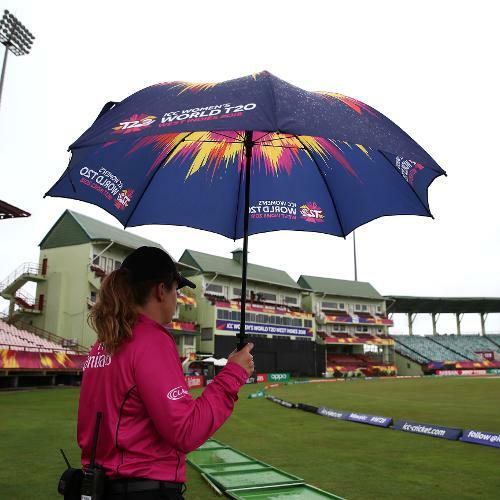 Match official Claire Polosak looks on during the ICC Women's World T20 2018 match between India and Ireland at Guyana National Stadium on November 15, 2018 in Providence, Guyana. Ireland players warm up during the ICC Women's World T20 2018 match between India and Ireland at Guyana National Stadium on November 15, 2018 in Providence, Guyana. 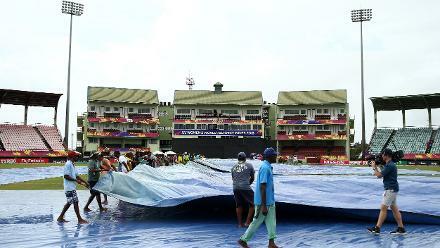 India players warm up during the ICC Women's World T20 2018 match between India and Ireland at Guyana National Stadium on November 15, 2018 in Providence, Guyana. 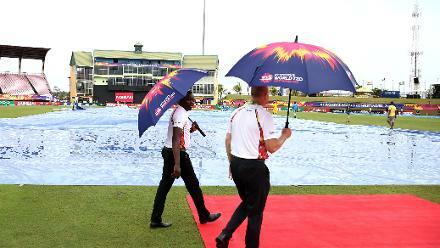 Ground staff removes rain covers during the ICC Women's World T20 2018 match between India and Ireland at Guyana National Stadium on November 15, 2018 in Providence, Guyana. 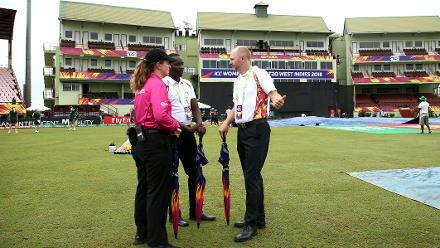 Match officials inspect the playing field during the ICC Women's World T20 2018 match between India and Ireland at Guyana National Stadium on November 15, 2018 in Providence, Guyana. 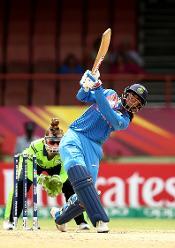 Smriti Mandhana of India bats with Mary Waldron wicket keeper of Ireland looking on during the ICC Women's World T20 2018 match between India and Ireland at Guyana National Stadium on November 15, 2018 in Providence, Guyana. 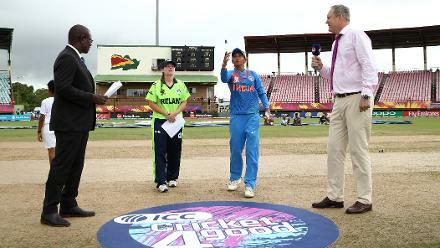 Harmanpreet Kaur of India toss the coin with Laura Delany of Ireland looking on during the ICC Women's World T20 2018 match between India and Ireland at Guyana National Stadium on November 15, 2018 in Providence, Guyana. 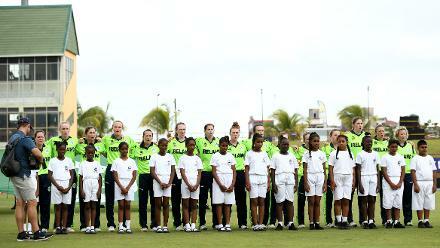 Players of Ireland sing their national anthem during the ICC Women's World T20 2018 match between India and Ireland at Guyana National Stadium on November 15, 2018 in Providence, Guyana. 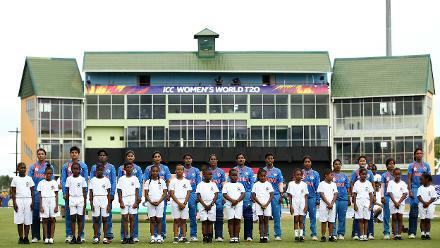 India sing their national anthem during the ICC Women's World T20 2018 match between India and Ireland at Guyana National Stadium on November 15, 2018 in Providence, Guyana.